I’ve noticed over the years, at least two years, that trophy tracking on Playstations PSN hasn’t been up to speed on Raptr. I’ve played for hours on both PS3 and PS4 and hadn’t received a peep of an update for my Raptr weekly summaries. 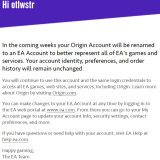 I should have seen this coming based on the weekly summaries only including PC data logged for when I play Battlefield 4 but nothing for PS4 gameplay of GTA V, Watchdogs, or any other game for that matter on the console. 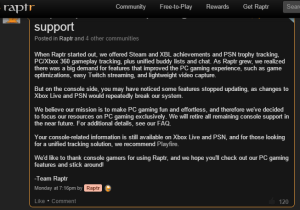 They, Raptr, have been kind enough to provide an alternative site for those of us console gamers that are looking to keep track of our trophies and achievements through a single platform, PC gamers are included as well. 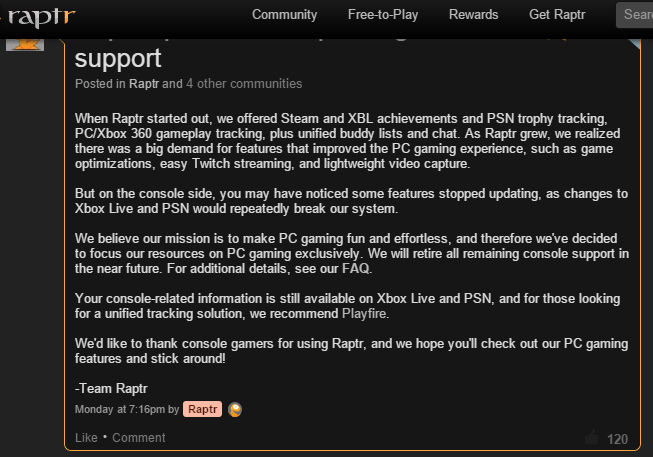 They’ve hyperlinked to Playfire which seems to have more to do with GoG and no reference to Raptr. It’s a new platform for those interested and using your GoG.com login, you can sign in with the same credentials and download the Playfire client. I’m off to install the Playfire client and check out the service with console game tracking and PC tracking as well as deleting/deactivating my Raptr account. Leave a comment if you are aware of the updates. We’d love to hear from you.